INDIANAPOLIS, Ind. – Indy Eleven has reached an agreement to play their games at Lucas Oil Stadium in 2018. The Capital Improvement Board, Indianapolis Mayor Joe Hogsett, and Indy Eleven owner Ersal Ozdemir made the announcement at 10 a.m. Monday morning. In the previous seasons, the team has played at IUPUI’s Carroll Stadium. The Phoenix Suns had a brutal Sunday afternoon that included the firing of their head coach, Earl Watson, and a subtweet from their veteran Eric Bledsoe about wanting to get the heck out of there. Then Bledsoe was openly recruited by conference rival DeAndre Jordan on Twitter. It was all somehow uglier than the two 40-plus-point losses the team suffered in its opening week. Now-former assistant coach Mehmut Okur added onto the pile. According to the Pew Research Center, by 2020 the United States is expected to have a population that is 78.3 percent Christian and a mere 0.9 percent Muslim. As the NBA season opens Tuesday night, at least 12 of its returning players are Muslim: Kanter, Denver Nuggets forward Kenneth Faried, Minnesota Timberwolves center Gorgui Dieng, Miami Heat guard Dion Waiters, Portland Trail Blazers forward Al-Farouq Aminu and center Jusuf Nurkic, New Orleans Pelicans center Omer Asik, Atlanta Hawks forward Ersan Ilyasova and guard Dennis Schroder, Dallas Mavericks center Salah Mejri, Milwaukee Bucks forward Mirza Teletovic and Brooklyn Nets forward Rondae-Hollis Jefferson, according to the online magazine Muslim Matters and other media outlets. Real Madrid star Christiano Ronaldo urged followers to remember and help Syrian refugee children, who have been affected by the ongoing crisis in their country, losing loved ones by the bombs, experiencing hunger, and drowning in the Mediterranean with the hopes to reach a safe haven. Washington (AFP) - Turkish forward Ersan Ilyasova and American centre Dewayne Dedmon have signed National Basketball Association (NBA) contracts with the Atlanta Hawks, the team announced on Friday in moves to bolster their front court. Dedmon's deal was reportedly for US$14 million (S$19 million) over two years with Ilyasova getting US$6 million for one season. Ilyasova, set to begin his 10th NBA season, has career averages of 11.0 points, 5.9 rebounds and 1.2 assists over 609 games for the Milwaukee Bucks, Detroit Pistons, Orlando Magic, Oklahoma City Thunder, Philadelphia 76ers and Hawks. The 30-year-old second-round pick in the 2005 NBA Draft is a 44 per cent shooter, hitting 36.6 per cent from 3-point range. 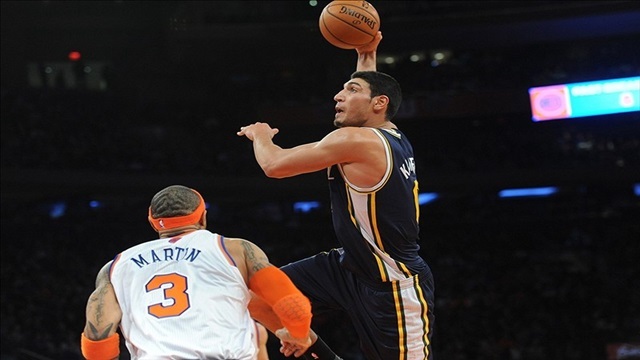 NEW YORK – A U.S.-born Turkish basketball player has been found dead in New York, according to media reports. 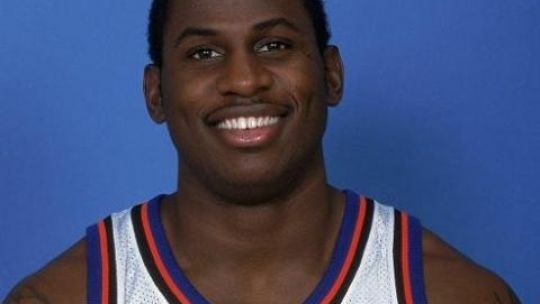 The New York Daily News reported that police found the body of Ali Karadeniz –born Michael Wright — in his SUV under a pile of garbage bags in Brooklyn Tuesday morning. He was sprawled in the backseat of the vehicle and covered with trash bags, the daily said, citing police sources. Hedo Turkoglu’s 15-year NBA career is officially over—the 36-year-old announced his retirement from the game on November 13th. Turkoglu played for five teams, making his biggest mark with the Orlando Magic (he averaged a career-high 19.5 PPG during the 2007-08 campaign.) The Magic will honor Turkoglu next month. ISTANBUL - Turkish Basketball Federation (TBF) president Harun Erdenay unveiled 35-year-old legendary former player Hidayet (Hedo) Turkoglu as the new CEO of the TBF at a press conference in Istanbul on Monday. Turkoglu officially confirmed his retirement as a player last Friday although the writing was on the wall for some time, as he had announced last spring the end of his long international career with Turkey and did not pursue a new contract with any team after concluding the 2014/15 season on the roster of the Los Angeles Clippers. 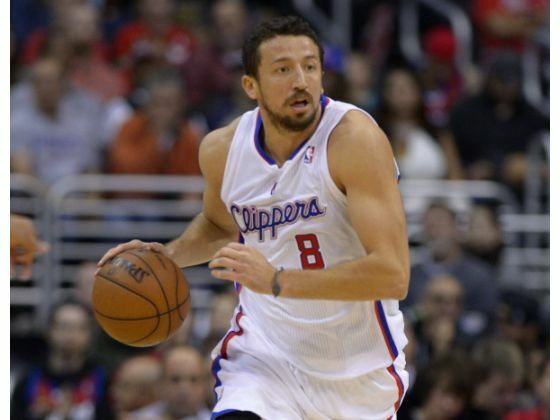 "Hedo has been the NBA player with the longest service to the national team as he played every summer from 1998 through 2013 year and only missed out in 2006 due to injury," TBF president Erdenay said on Monday. "His experience is extremely valuable and the TBF has decided to make use of its value and we are confident that he will contribute a new vision. Brooklyn, NY – The Brooklyn Nets will host Fenerbahce Ulker Istanbul of the Turkish Basketball League for a preseason game on October 5, 2015 at 7:30 p.m. at Barclays Center, General Manager Billy King announced today. "We are excited to be hosting Fenerbahce, as it will be a reunion for Bojan Bogdanovic with his former team,” said King. "Our fans will have an opportunity to see one of the best coached teams in all of Europe when they come to Brooklyn." NEW ORLEANS – While the Clippers’ latest acquisition, Glen Davis, had a boisterous discussion with his new teammates after Monday’s 123-110 victory over New Orleans, Hedo Turkoglu calmly ate a salad on the other side of the room. Turkoglu, the Clippers’ other midseason pickup, had just left a big stamp on the team’s win and earned praise from Coach Doc Rivers.